Hundreds of drivers were ticketed and arrested for speeding, reckless driving and drug and weapons offenses on D.C.-area parkways late in 2017, including nearly 12 dozen drivers who were cited for driving over 90 mph. WASHINGTON — Hundreds of drivers were ticketed and arrested for speeding, reckless driving and drug and weapons offenses on D.C.-area parkways late in 2017, including nearly 12 dozen drivers who were cited for driving over 90 mph, the United State Park Police said. Among the 414 citations and 40 arrests, the park police said, 22 drivers were arrested for reaching dangerous speeds over 90 mph, including several who were clocked over 100 mph on the Baltimore-Washington Parkway. The arrests were the result of the Holiday Driving Under the Influence Enforcement Operation, conducted by the Park Police Traffic Safety Unit during the six weeks between Thanksgiving week and New Year’s Day. 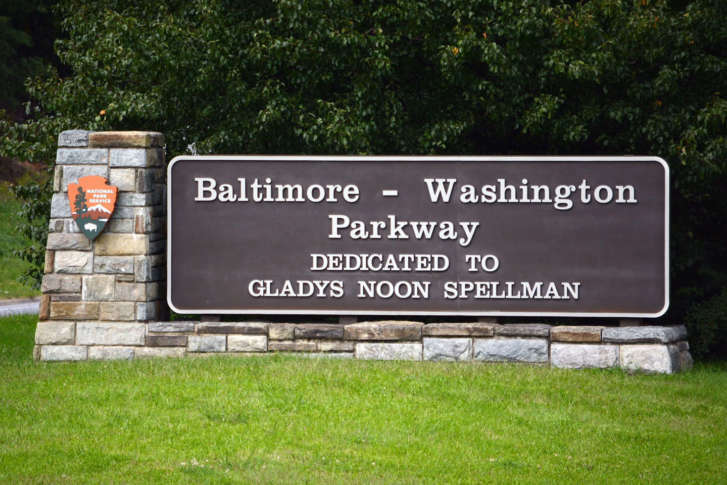 The park police’s jurisdiction includes the George Washington, Clara Barton, Baltimore-Washington and Suitland parkways, where most of the violations occurred. The park police said seven drivers were arrested after reaching speeds over 100 mph on the Baltimore-Washington Parkway. Dozens more were cited for reaching speeds more than 20 mph over the speed limit. Sgt. James Dingeldein, a spokesman for the park police, said one driver was pulled over and arrested after reaching speeds up to 111 mph in a 55 mph zone. He added that 31 of the 40 arrests involved driving under the influence and/or drugs, and there were “36 [citations] for move-over violations for law enforcement or emergency service vehicles.” Maryland law requires drivers approaching an emergency vehicle with flashing lights while stopped on a highway to, if possible, make a lane change into an available lane not immediately adjacent to the emergency vehicle. In Virginia, drivers must yield right-of-way or reduce speed when approaching stationary emergency vehicles on highways. Four weapons were recovered during the blitz: “one semi-automatic handgun, one stolen semi-automatic handgun, one shotgun and one BB gun,” Dingeldein said. Dingeldein said the operation was motivated in part by several fatal wrecks on the scenic parkways last year, including a crash that resulted in three deaths on the inbound Suitland Parkway in May. The specialized police unit also screened traffic for commercial vehicles, which are banned on the National Park Service parkways; 13 were found to be in violation and taken out of service.